President Roosevelt issued an executive order to provide relief and rescue for Jews in Europe. Between 1942 and 1943, increased public knowledge about Nazi atrocities against Jews in Europe prompted various groups -- both in the government and in the public sphere -- to devise rescue proposals. Public pressure rose, thanks in part to the agitation of a group of Palestinian Jews led by Peter Bergson (pseudonym for Hillel Kook). In the summer of 1943, the group formed the Emergency Committee to Save the Jews of Europe. They took out full-page advertisements in major newspapers and sponsored events to raise awareness of the ongoing mass murder of the Jews of Europe and to condemn what its members perceived to be the inaction of the United States, particularly the State Department. Members of Congress who supported recommendations of the Emergency Committee sponsored identical resolutions in the House of Representatives and the Senate in November 1943. The bill, which became known as the “Rescue Resolution,” challenged Roosevelt to establish an agency specifically for the purpose of devising and enacting plans to rescue the Jews of Europe. In January 1944, the leadership of the U.S. Treasury Department -- Secretary Henry Morgenthau, Assistant Secretary John Pehle, and Randolph Paul -- met with President Roosevelt to rebuke the State Department for its perceived obstruction of rescue efforts. They urged the President to establish a government agency to coordinate the rescue of Europe’s Jews. 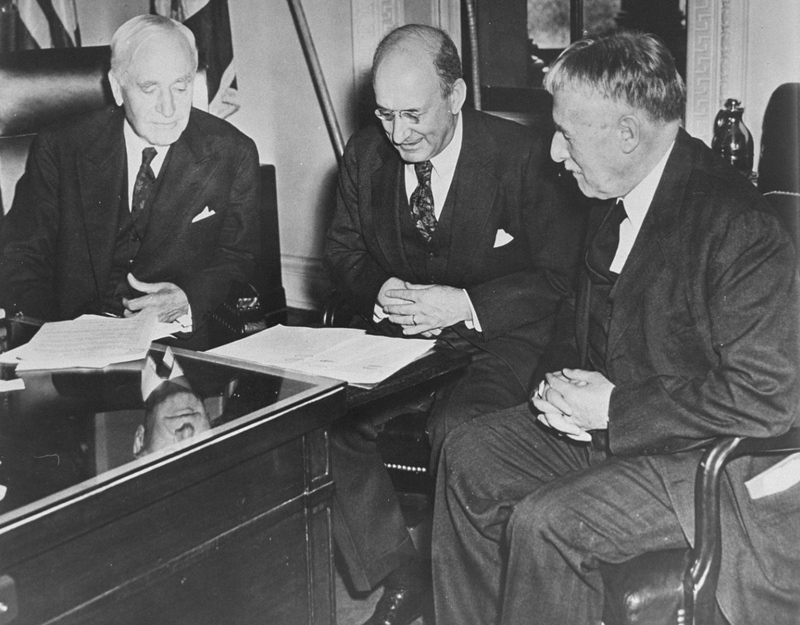 On January 22, 1944, Roosevelt signed Executive Order 9417, establishing the War Refugee Board (WRB). John Pehle was appointed as the WRB’s first director.” The Board was committed to enforcing the policies of the US government regarding the “immediate rescue and relief of the Jews of Europe and other victims of enemy persecution.” This included the establishment of safe havens, evacuation of endangered people from Nazi-occupied territories, and delivery of relief supplies into concentration camps. American diplomats in Europe were instructed to enforce all policies set forth in the Executive Order. During the last year of the war, the War Refugee Board provided relief to hundreds of thousands and played a crucial role in the rescue of tens of thousands of Jews. January 22-29, 1944 News articles about the establishment of the War Refugee Board. January 22, 1944 - May 1944 Editorials, op-eds, letters to the editor, and cartoons reacting to the creation of the War Refugee Board and its activities. Neufeld, Michael J., and Michael Berenbaum, eds. The Bombing of Auschwitz: Should the Allies Have Attempted It? New York: St. Martin's Press, 2000.